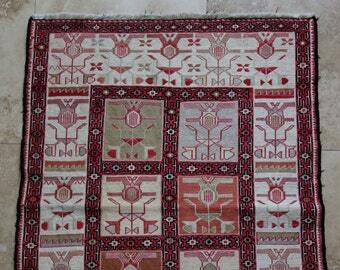 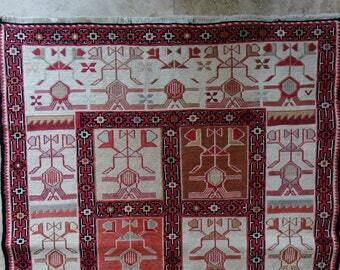 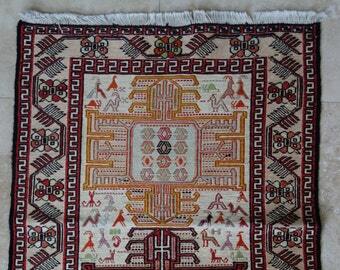 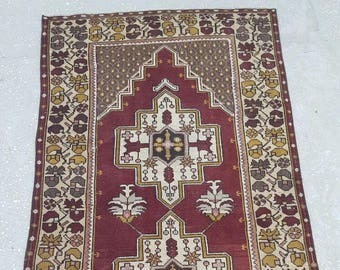 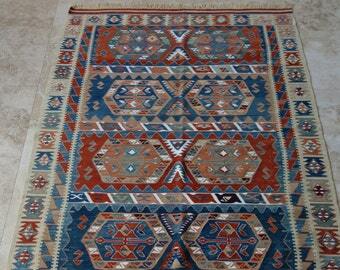 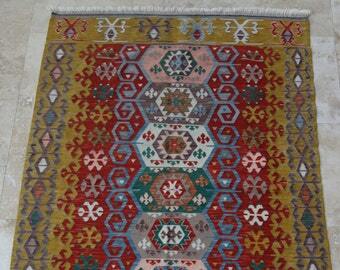 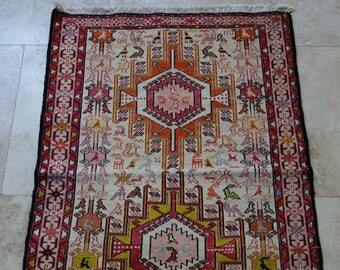 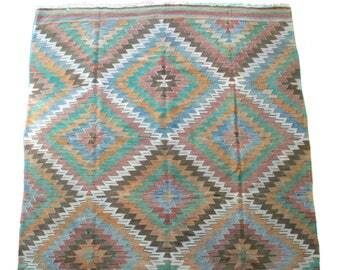 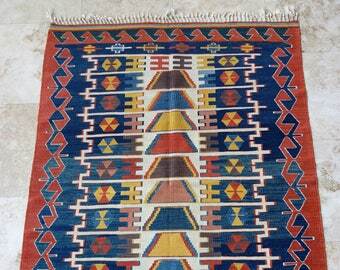 Malatya Natural Dyed "David Star" Kilim, featuring a medallion and "David Star" patterns throughout. 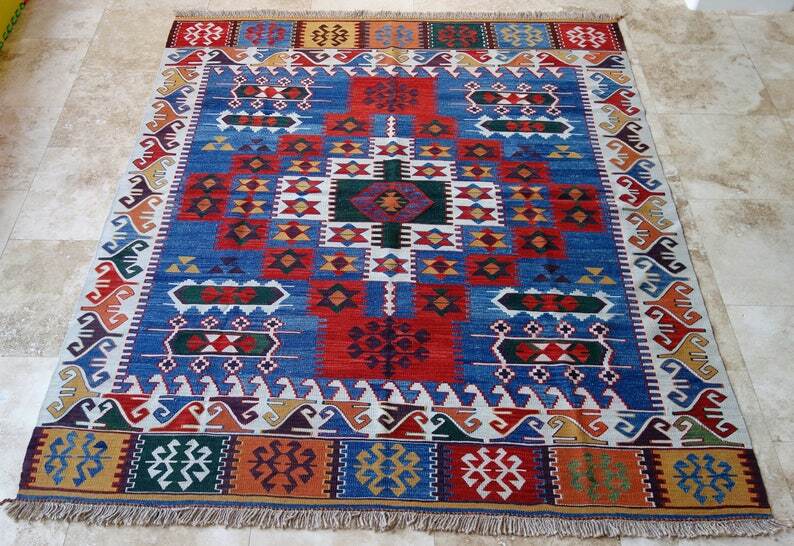 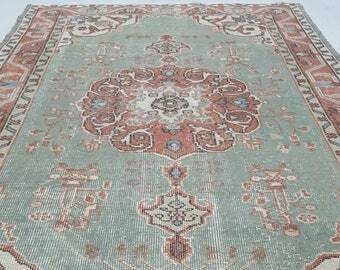 7'3" x 6'3", Decorative, Rustic, Natural Dyed, Nomadic, Tribal, Blue-Red Color, Traditional Design, Medallion Design, Floral Design, Turkish Kilim Rug, Square Rug, Handspun Wool pile (Weft) on Handspun Wool foundation (warp) Natural Dyes. 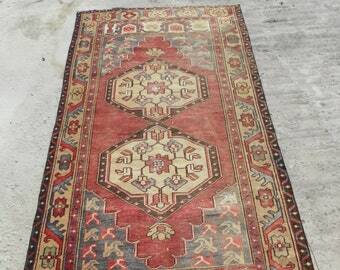 Condition: Excellent, newly made. 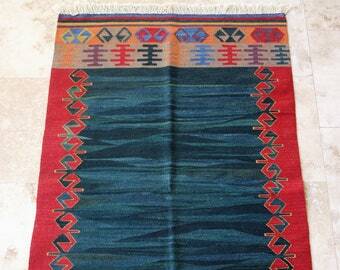 The visible crease in the picture is due to the stored folding pattern and will go away shortly once in use. 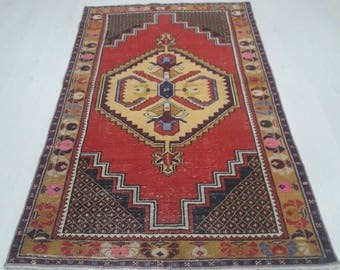 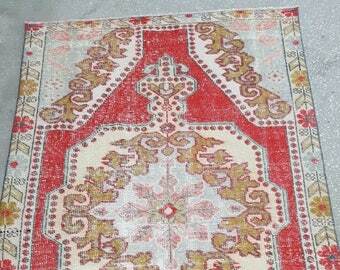 All our rugs are professionally cleaned and are ready to use.